Marie Curie’s wise words are the backbone to Bhumi’s whole school transformation programme that focuses on creating a fearless environment for children to learn and thrive in. 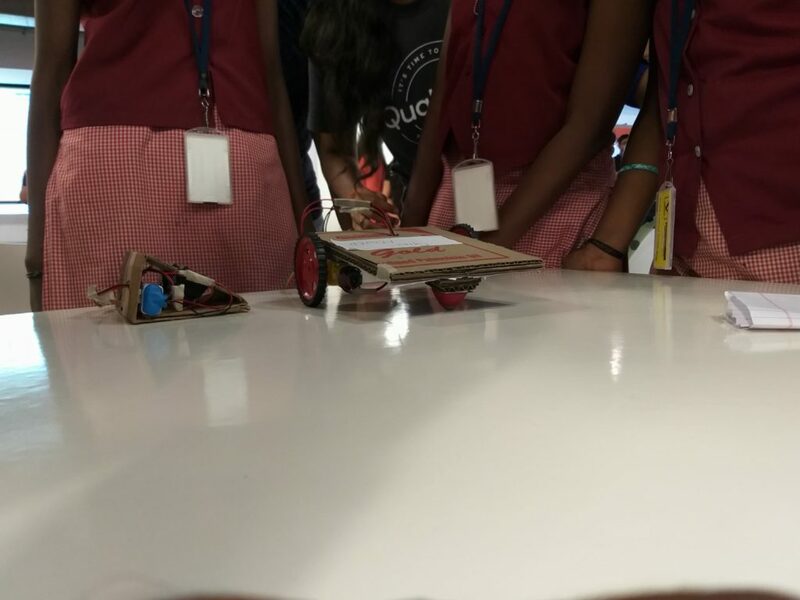 When it was time to roll out the Robotics workshops for grade 7 children at five of our middle schools, we could think of only the incredible potential at Qualcomm, our corporate partner. We reached out to their employees for volunteering and in less than a week’s time, we had over 90 enthusiastic registrants! From then on, this has been an incredible journey of hands-on learning for children, volunteers, and Bhumi facilitators. Children now had a better reason to look forward to weekends, for Saturdays were nothing short of an energetic classroom with every child being given an opportunity to question, observe, play with and create. 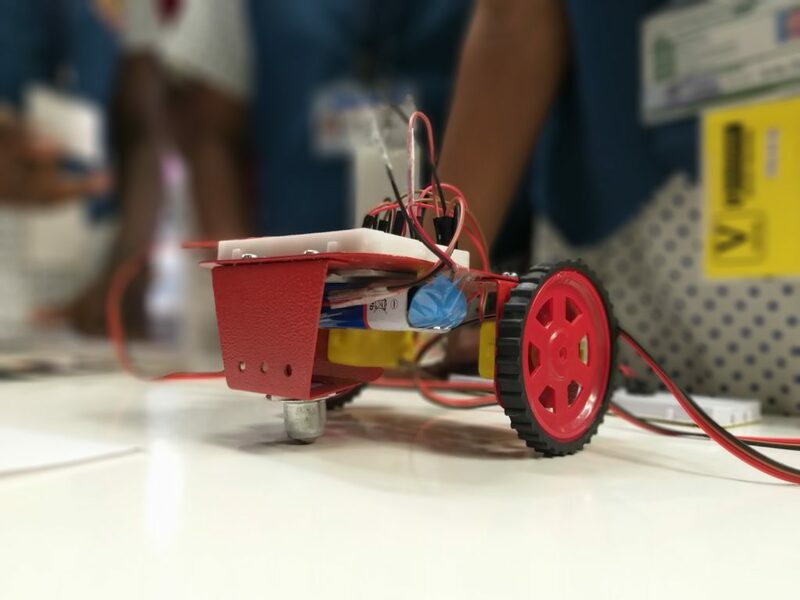 From introducing the children to basic concepts, the content gradually progressed to making bots with components like motors, LED, switches, and resistors – something most of our children have hardly seen or touched. Of the registered, we were touched to see over 30 corporate volunteers not just come in week after week, but also engage in improving our content – given their theoretical knowledge and practical exposure, this was certainly a blessing in disguise! This joy was not just confined to the classrooms. 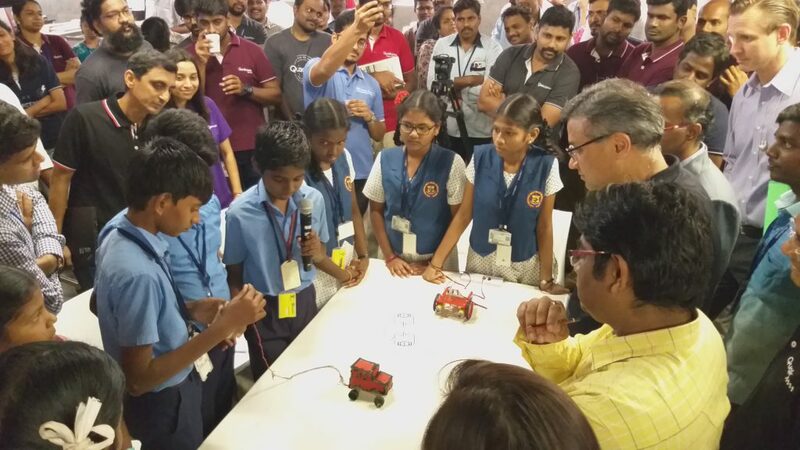 Qualcomm was gracious in extending an invitation to Bhumi’s children for displaying their bots at their Tech Fest. On March 14, teams of three children from three schools were all set at the assigned stall to meet and greet the guests! Although the children started off being a little shy, they warmed up to the crowds and started explaining with confidence. The energy built up, and the children were soon at their best, at times offering the guests to try their bots! They were intimidated by neither age nor experience, and both volunteer-teachers and Bhumi facilitators were mesmerised to see what was unfolding. By the end of the day, the children were left with the desire to be back – not as a visitor, but as an employee who would breathe Science & Technology for a living. We could not have had a better closing to the robotics workshops, and we wholeheartedly thank Qualcomm for giving our children this wonderful opportunity. 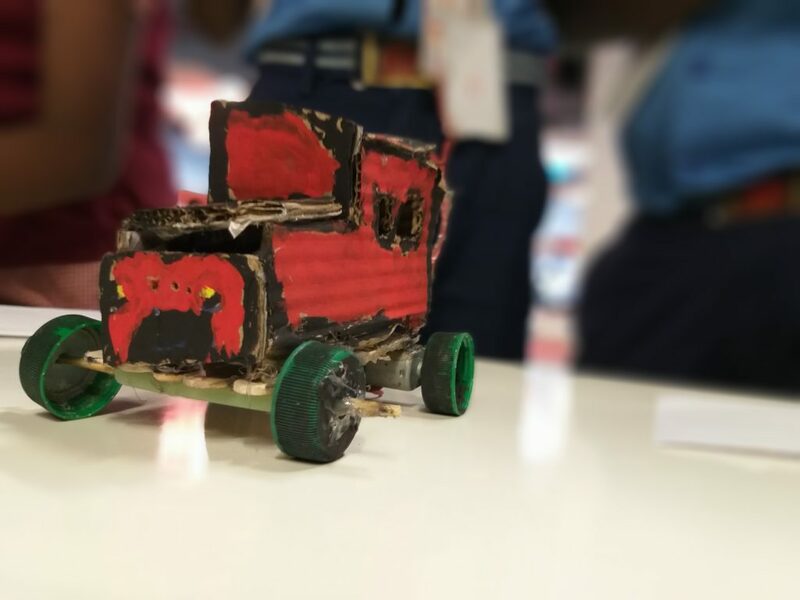 Bhumi’s whole school transformation programme engages children, teachers and HMs in creating sustainable processes and practices that will make schools fearless, creative, nurturing and open. Ongoing in 10 affordable/low-income private schools across Chennai.